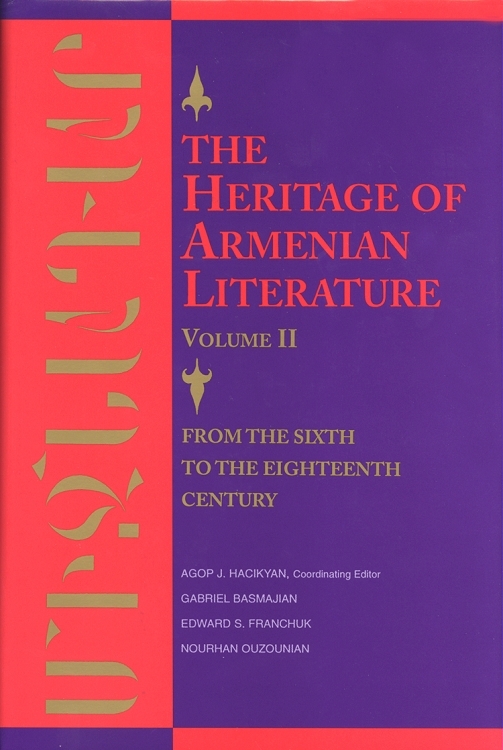 The Heritage of Armenian Literature: From the Sixth to the Eighteenth Century is the second volume of this highly acclaimed and monumental project. Nowhere else can students and general readers easily find a comprehensive, English-language guide to these literary masterpieces, complete with important background information and vivid translations of key passages. As in the previous volume, the editors offer a wide and varied range of readings that encompasses the literary panorama of this ancient civilization. They situate each work as extensively as possible within its theological, historical and philosophical contexts, while highlighting aspects that will have meaning to modern readers as well. In addition to literature by Gregory of Nareg, Nerses Shnorhali and others that draws primarily on Christianity for inspiration, this volume also includes folk songs and poetry byArmenian ashoughs (troubadours) like Sayat Nova and Nahabed Kouchag who address universal themes of love and yearning in their work.